Angela Demma von der Heydt Museum Interpretation Specialist at the Anchorage Museum visits KNBA in mid-November 2017. Our guest this morning on Our Community was Angie Demma, von der Heydt Museum Interpretation Specialist - and she shared about the Anchorage Museum at Rasmuson Center's Continuing Education Program. An event coming up November 22nd features Alaska Native Studies and Alaskan Dinosaurs. Directed by Karen Weinberg, “Keep Talking” was shot in Kodiak and Anchorage over five years and follows the efforts of Alaska Native women as they work to preserve their endangered language. 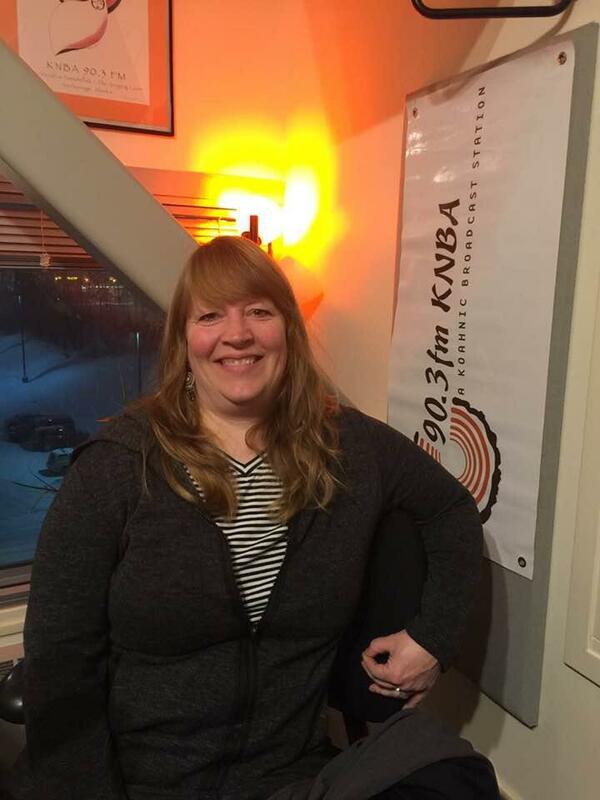 Angela Demma von der Heydt Museum Interpretation Specialist stopped by KNBA to talk about some of the events happing at the Museum's Continuing Education Program - a Spring and Fall class or workshop series reflecting community interests. The upcoming November 22nd event includes a morning session with Dr. Beth Leonard, who is an expert on Indigenous Knowledge systems and methodologies, specifically Deg Xinag oral traditions. Dr. Leonard, who is professor in the University of Alaska system and Director of Alaska Native Studies at UAA and extensive history with UAF, will talk about oral histories in an academic context. The second half of the session is full of Alaskan dinosaurs, with University of Alaska Fairbanks paleontologist Patrick Druckenmiller talks about recent discoveries related to "Cruisin' the Fossil Coastline," which is an exhibition also at the Museum. Later on in December, on the 10th another intensive - all about Fire & Wood, from selecting and curing for a fireplace or wood stove to using for smoking food. The Anchorage Museum is opening studio space, instructors, and materials for an inclusive artistic experience - with tie-ins to the Welcome Week Celebrations in Anchorage this coming September. Are you or someone you know new to Anchorage, to Alaska, or to the United States? Share your journey and new life in Anchorage through Art!